Buying baby things is SO much fun. I didn’t want to count my chickens, but I brought my first set of mittens, hats and body suits at about 8 weeks pregnant and popped them in the spare room. I even get joy from walking around the baby section at KMART of all places, because of all the cute bath things! But buying the big ticket items is a little more daunting (and hell costly, cheers Bean), so I was pretty happy to get my cot early on and at least know that I had somewhere for it to sleep .. Even if there was no car seat or pram yet! It also overwhelms me a little with all of the different rules and regulations that baby things have to comply with – hence my baby will be lucky to have a pram in time since I keep putting it off. I will definitely get onto that next week. See! It’s exactly the kind of cot I imagined our baby having from the start, I love the round edges and adjustable base – it has two different level settings for when the baby grows and can move around more, and the front panel comes off at the lowest setting which helps when they’re ready to move into beds. It also comes with wheels (which I haven’t put on in the photo yet), which is great and easy to move around the room, or house. It comes with an eco friendly mattress as well, with a machine washable cover. And the best part? When it’s finished being a bloody awesome cot, you can turn it into a desk and two chairs – what!? Talk about versatility. 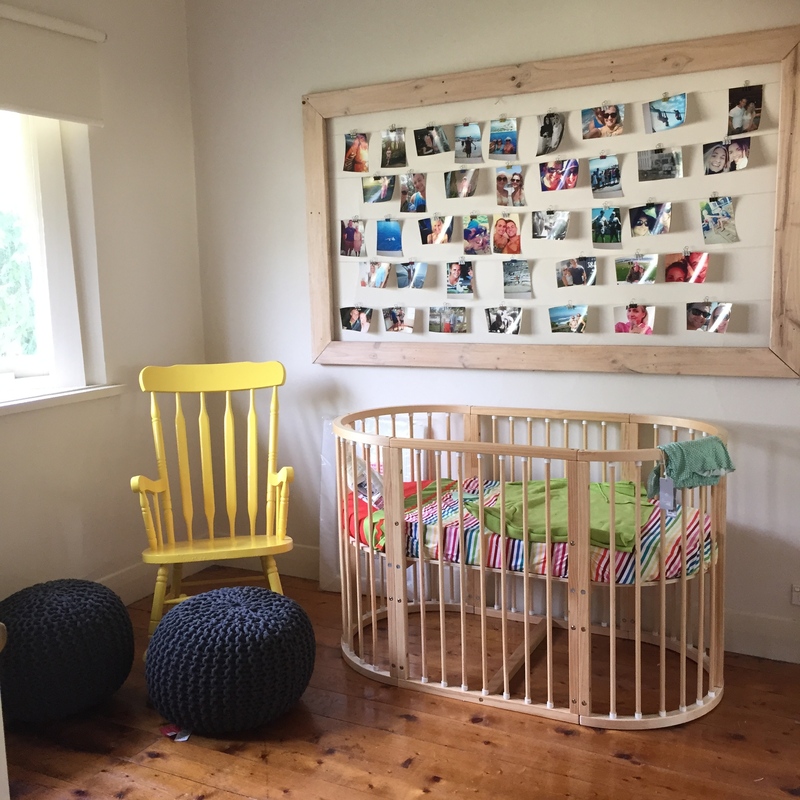 The cot comes from All4bubs, a Melbourne based company supplying children’s and nursery furniture. On top of cots, they sell desks, beds, wardrobes, change tables and more, all of which you can find on their website. They deliver to Geelong, for a flat fee of $39, which is a steal. Otherwise, you can pick up for free from their warehouse in Mordialloc where you can also arrange viewings of their stock and get in touch by emailing sales@all4bubs.com.au. The Lunar Cot Complies with Australian Safety Standards AS/NZ’S 2172:2010 cots for household use. What happened when I hit 30 weeks pregnant. Just a question… does this cot have two sizes? Does it get smaller to be a bassinet and then enlarge for a larger cot size?